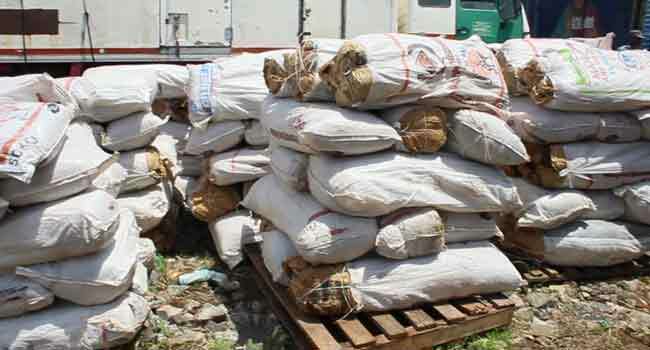 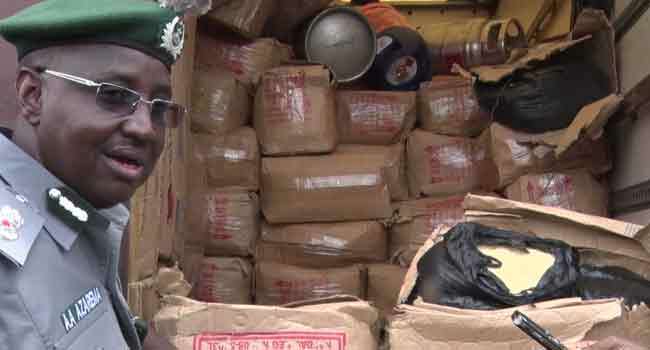 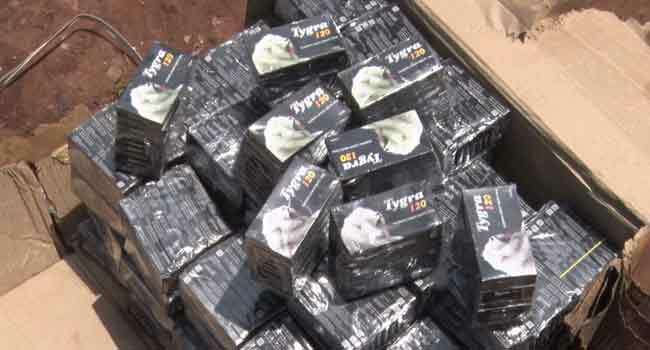 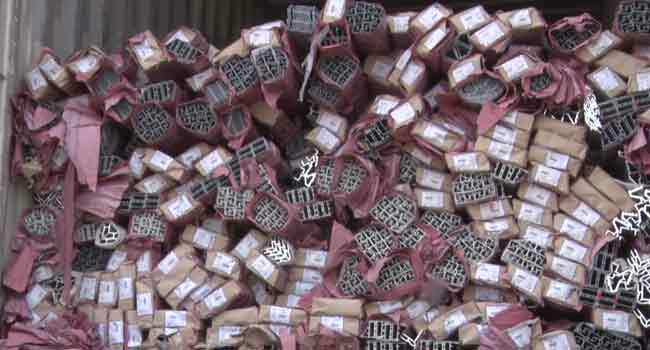 The Nigeria Customs Service has impounded a trailer load of tramadol and cannabis sativa along the Lagos-Benin expressway. 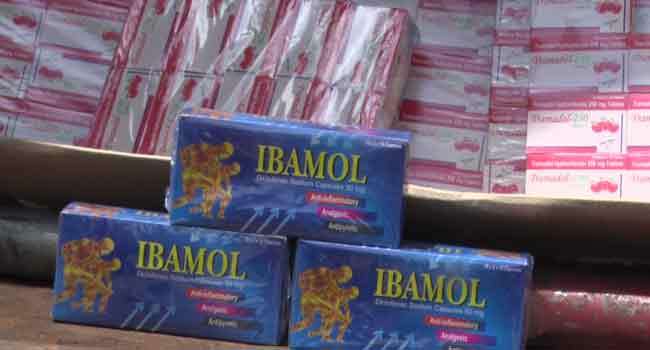 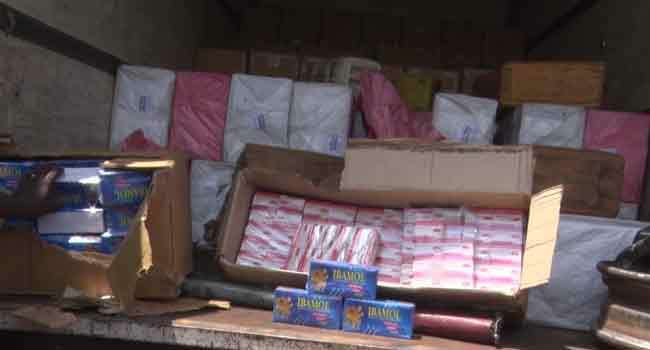 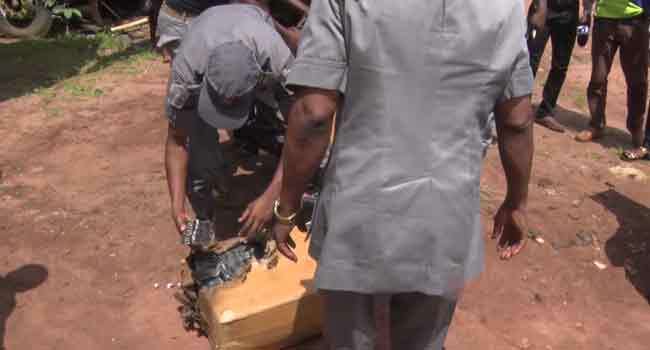 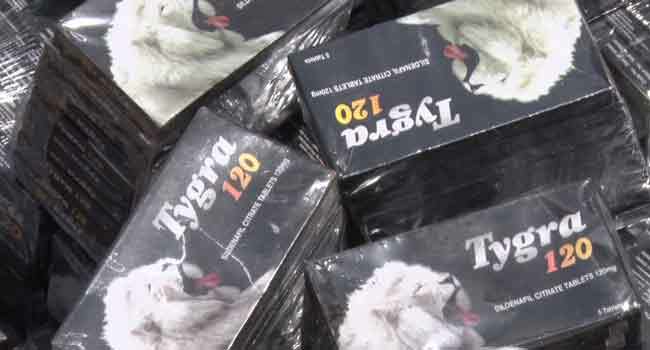 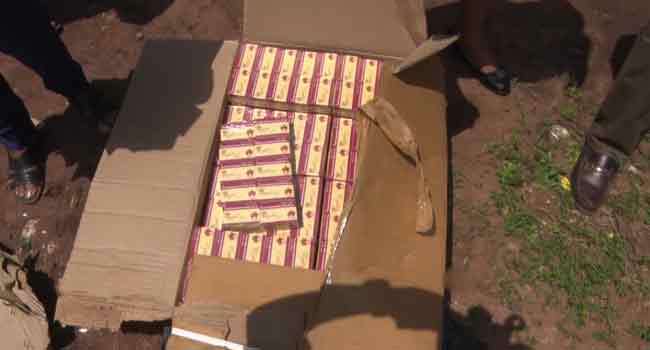 The seizure was made by men of the Customs Federal Operations Unit, Zone C, in line with the Federal Government’s onslaught on the ban on tramadol and other heinous drugs in the country. 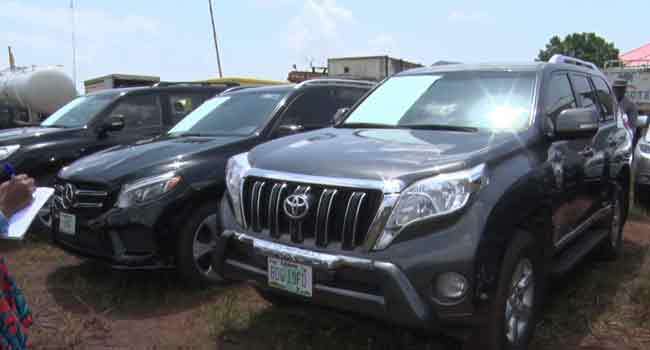 Zonal Controller of FOU Zone C, Abdulkadir Azarema, disclosed this to reporters on Thursday at the Command Headquarters in Owerri, the Imo State capital. 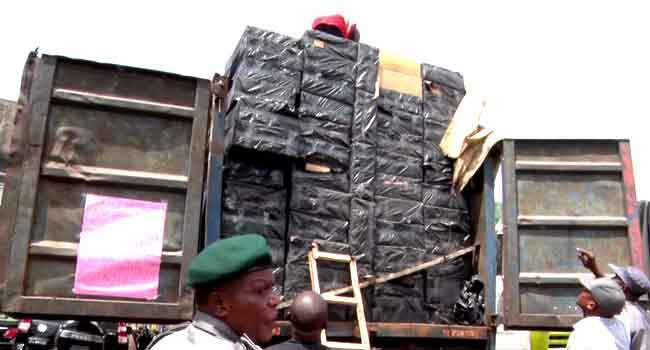 He vowed that customs would sustain intensified and intelligent operations against smugglers and tax evaders, to tackle illegal banned goods importation, revenue leakages, and economic sabotage. 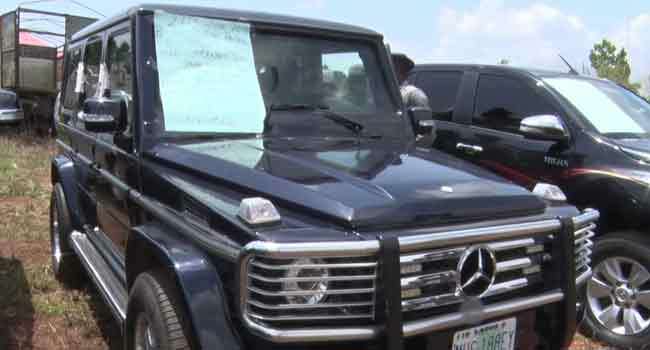 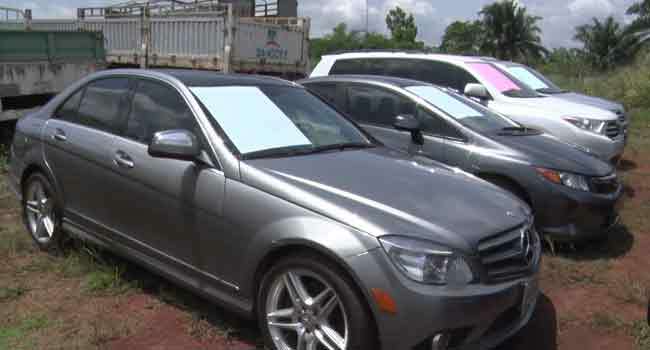 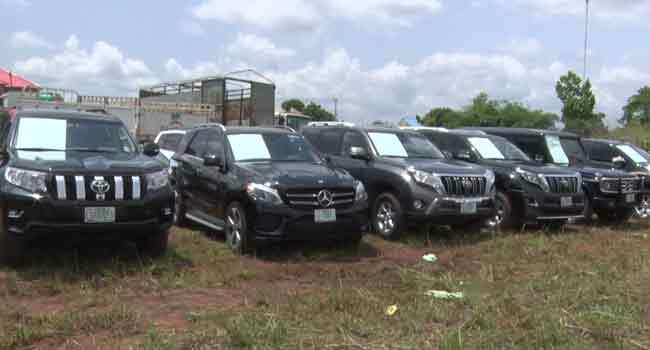 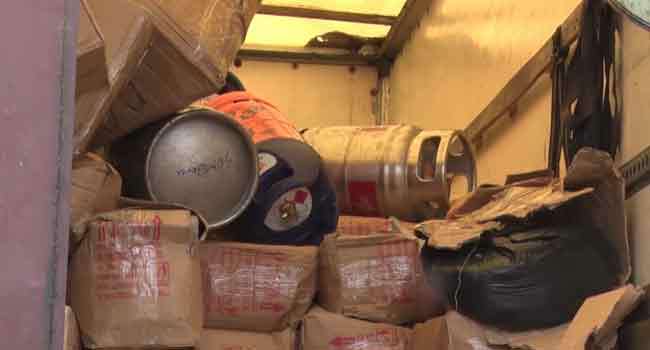 Mr Azarema revealed that the agency also impounded exotic vehicles, a trailer load of rice, used auto parts, and household items with total duty pad value of over N900 million. 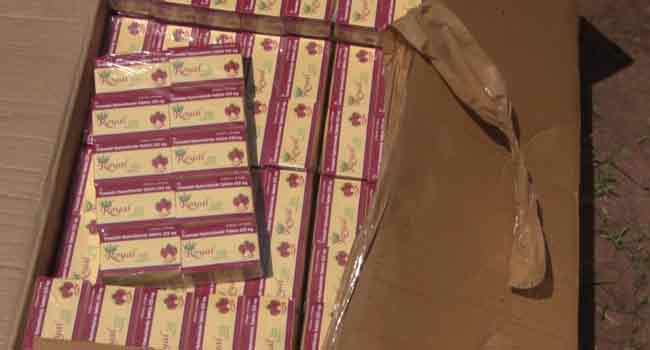 He advised those engaging in the illegal activities to quit such business, saying it is not in the economic interest of the country.